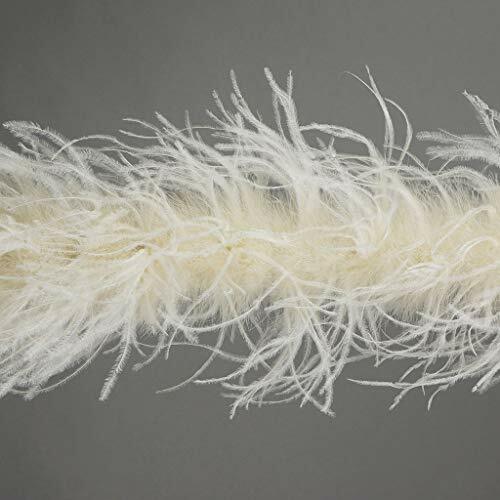 One ply Ostrich feathered boas with solid colors are 2 yards (6 ft) long, and approx 9 in diameter. The center of this boa is made with soft This Turkey marabou feathers that have four layers of Ostrich wing feathers Sewn into it. 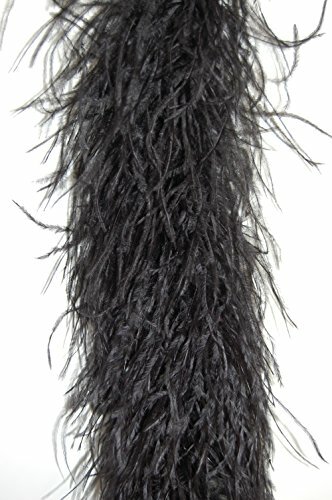 This is the thickest fluffy Ostrich boa we offer. Ostrich boas can be cut without unraveling as are Sewn on to a cotton cord. 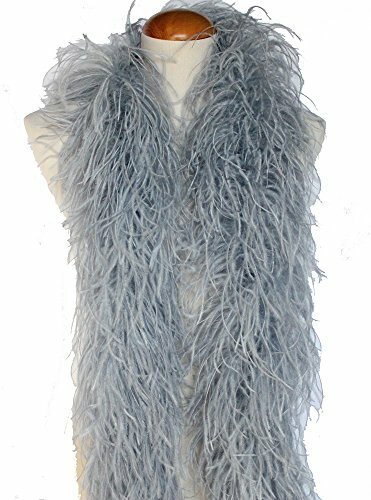 Cruelty-Free Feathers 100% genuine natural Ostrich Feathers. No ostriches were harmed. 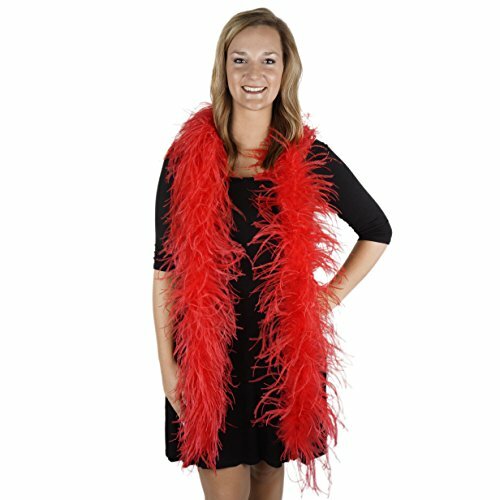 Two Ply Ostrich Feather Boas with Solid Colors are 2 yards (6 ft.) long and approx. 9" in diameter. 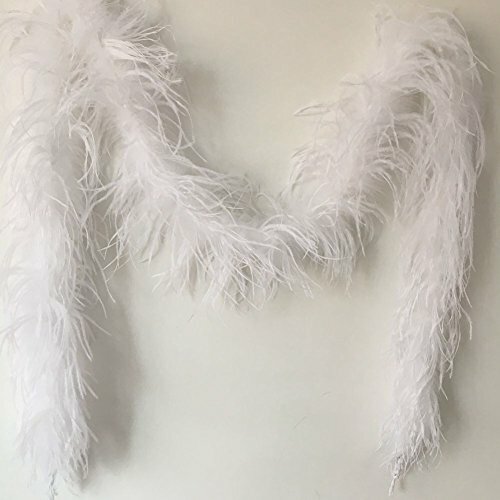 The center of this boa is made with soft Turkey marabou feathers that have two layers of Ostrich wing feathers sewn into it. Ostrich boas can be cut without unraveling as feathers are sewn on to a cotton cord. Great for all types of crafts,trimming,parties costumes,home decorations,or wedding decorations. 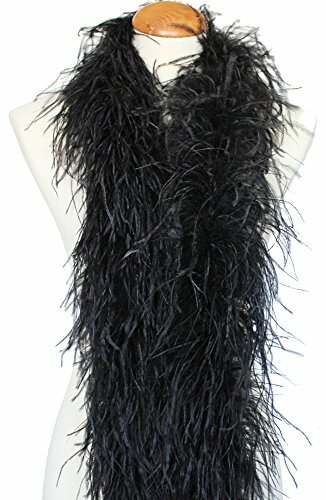 The finest quality Ostrich feathers are hand sewn layer by layer to create the Ostrich boa. The interior of the boa is Marabou so there is never an empty spot on the boa. The hairy voluptuous effect of this boa is great for Vegas, Los Angeles or Main Street USA. Since this boa is crafted by hand, we make this in different color combinations, in additional ply or with Lurex or burnt coque added. Each type of ostrich boa is dramatic and stands alone. We use only the best quality Ostrich feathers, hand sewn and perfectly dyed to vibrant colors. Each boa comes in a 2 yard length, 4 PLY, heavyweight and is 7 inches in diameter. Each boa comes in a 2 yard length (6 Feet) and is apprx 7-9" in diameter (very wide from top to bottom). All of our feather items have been professionally cleaned, steamed and sanitized to perfection. They have been hand selected for best quality.